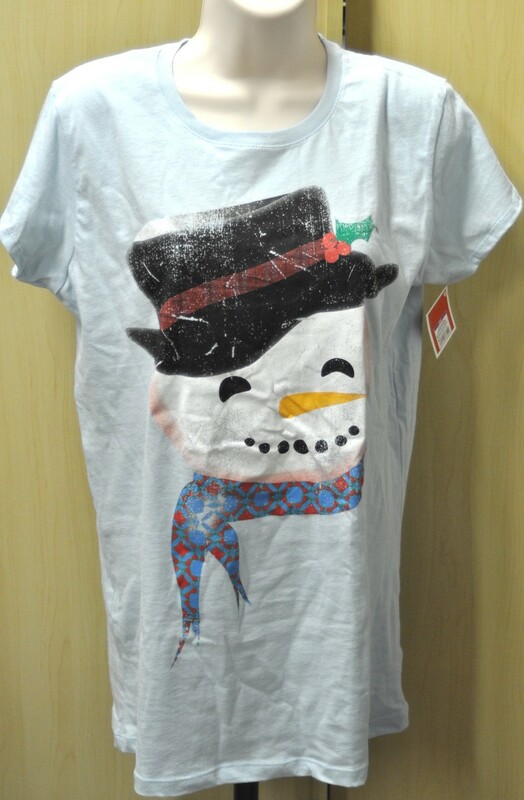 This is a licensed tee from Wal-Mart by Awake Holiday Tee. It is marked as a XXL but it is more of a teen's size than ladies. It is a tapered fit. Form model not included for display purposes only.